I’m an indie author, and proud of it. But the learning curve has been steep! If you’re interested in this path, the resources on this page may help. Read my occasional book marketing blog posts here. The Right Margin is an online writing environment that helps writers break the work into multiple tasks, build goal-driven schedules, and stay motivated to get the work done. Plus, they have a great Slack community (WriterHangout). Not sure about a book title, or trying to decide which cover will be more effective? PickFu makes A/B testing painless and, dare I say, fun? You create the head-to-head matchups, define an audience, and sit back as the results pour in. You get detailed input from people you don’t know – so they’re not trying to say what they think you want to hear. And it happens so quickly, you can run a virtual tournament of book titles to come up with the final contenders. Check it out. Want to create a beautiful ebook for Kindle, Nook, Apple Books, Kobo, or any other ebook reader? Vellum lets you do it quickly and easily. 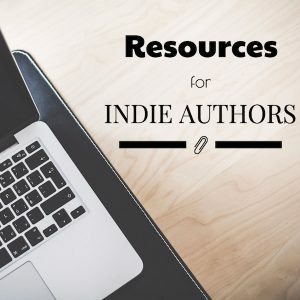 You can write directly in the app or import a Word file, fix up the interior, choose the style you like, and export it painlessly into the right formats for countless ebook platforms. It’s a MacOS application; there’s a reasonable one-time fee, and from then on, you can make as many ebooks as you want. It now also supports physical book layout; I haven’t tried that yet. Using KDPRocket will save you a ton of time sifting through Amazon data – really terrific if you want to use Amazon Marketing Service (AMS) ads to advertise your books. And, don’t miss Dave Chesson’s free course on AMS Advertising. How did I not know about machete earlier? The Nonfiction Author’s Association is a great place to look for information and support. It offers an annual (virtual) conference, tons of good information for members, weekly webinars, and online courses and toolkits. Social media can become a time sink pretty quickly. Instead of letting social media drive my life, I spent some time each week scheduling posts in advance. Buffer lets me do that easily, while collecting new posts to share as I encounter them. Check out this round-up post of tools for writing from other writer friends.